*Please click here to view the video on UN WebTV. It is a great pleasure to be here, and we extend our particular thanks to you Mr. President for hosting today’s important event. We are also grateful for the engagement of your predecessors in supporting World Wildlife Day ever since its inception in 2014. In just four years, UN World Wildlife Day has become the world’s most important global annual event dedicated to wildlife. In that time we have: gone ‘wild for wildlife’, got ‘serious about wildlife crime’, had the ‘future of wildlife in our hands’, and this year we ‘listen to the young voices’. I would like to acknowledge Thailand for being the catalyst behind this special day. Thailand hosted the 16th meeting of the Conference of the Parties to CITES (CoP16) in 2013, where its proposal to declare 3 March, being the date CITES was signed, as World Wildlife Day was adopted by the CoP and subsequently by the UN General Assembly. 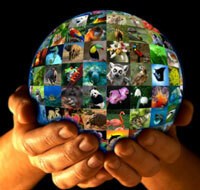 As such, we are also today also celebrating the 44th Birthday of CITES! Excellences, the 3rd of March is the opportunity for all of us – no matter who we are or where we are – to celebrate the beauty and variety of the millions of plants and animals that we share our planet with, both terrestrial and aquatic. While we cherish wildlife in its own right we should not forget that it also contributes to our own personal well-being – from food to medicine – from culture to recreation. But today our wildlife is suffering from many threats, including a grave and immediate threat from illegal trade, which is worth many billions of dollars every year. This illegal trade is threatening the survival of many charismatic and lesser known species, as well as peoples livelihoods and security, which the General Assembly has recognized through its historic Resolution on ‘tackling illicit trafficking in wildlife’ and the Sustainable Development Goals. The reality is, our generation has not yet succeeded in securing the future of many wild animals and plants. The responsibility of meeting this challenge will now be shared with the next generation. And to succeed we must fully harness the innovation and energy of youth, and combine it with the wisdom that comes with experience, if we are to make the change we need to see happen. Hence, the theme for World Wildlife Day is ‘listen to the young voices’. The good news is that there is a global collective effort underway to tackle illegal trade in wildlife and at the global level all of the necessary elements have fallen into place to effectively combat these highly destructive crimes. Today, there is a vast array of powerful decisions on tackling illegal trade in wildlife, coming from the UN General Assembly, CITES, UN Crime Commission, UN Environment Assembly, the GEF, INTERPOL, the World Customs Organisation, supported by many conferences across the globe, such as those held in London, Kasane and Hanoi. We are seeing unprecedented levels of high-level political support and international and regional cooperation. Just looking to enforcement, we have the International Consortium on Combating Wildlife Crime, or ICCWC, that is now fully operational and actively providing coordinated support at the country level to help authorities fight transnational organised criminal groups. This includes support to apply the same tools and techniques used to combat other serious crimes – be it the use of modern forensics, enhanced investigation techniques, or tackling money laundering. And yesterday our ICCWC partner, INTERPOL, announced the outcomes of a major global wildlife law enforcement initiative, known as Operation Thunderbird. Excellences, today we have more mandates on tackling illegal wildlife trade than we could ever have imagined just six years back. These mandates are critical to direct, guide and enable States and organizations to take action. Yet this fight is not going to be won in the conference room. It will ultimately be won or lost in the field, on the frontline – through the rangers, police, customs, inspectors and local communities – and we believe that action in the frontline must be our focus going forwards. Governments, rural communities, civil society, the private sector, public figures and the media all have a role to play in achieving our shared objective. Bold decisions were taken on tackling illegal trade in wildlife at the 17th meeting of the Conference of the Parties to CITES (CoP17) held in Johannesburg, South Africa last year. It was our largest and most successful CoP ever, and it is a delight to be sharing the podium once again with the Hon. Dr. Edna Molewa. And Mr. President, the success of CoP17 included the adoption of Fiji’s proposal to bring the Mobula or Devil ray under CITES Trade controls. We now need equally bold concrete actions to implement these outcomes, with all of the political, financial and technical support that has been generated over the past six years converging and translating into direct support to the frontline to implement them. Excellences, we are convinced that if we persist with our collective efforts we will end the surge in illegal trade in wildlife experienced over recent years – and the figures released this morning on the trends in illegal killing of elephants in Africa through our MIKE Programme shows that, while much remains to be done, we are on the right track. As we pause to celebrate wildlife today, we need to do whatever we can – as citizens and as consumers, whatever our age – to bring this illegal trade to an end and work for a future where people and wildlife coexist in harmony. Thank you Mr. President and thank you to everyone who is here today for showing their support for the survival of the world’s wildlife, and in particular the youth – it’s time to listen to the young voices!